If you are looking for a cheap car rental in Argentina, then you are at right place. We co-operate with major car rental suppliers in Argentina and offer a wide range of vehicles at affordable rates. We make it easy to find and book a valuable deal online for any location in Argentina. Fill the reservation form on our website, compare and find the deal that best fits your budget. All deals are inclusive of comprehensive insurance, airport fees and local taxes. Book a car rental for any city in Argentina with us and save your money! Argentina is a multi-ethnic country in the South American continent, which is famous for its unique atmosphere, man-made attractions and of course, the Tango dance. After Brazil, Argentina is the second largest country in the South America. It fascinates tourist for its diverse and generous nature offering beautiful waterfalls, sandy beaches, mountain peaks, glaciers and snow covered volcanoes. In Argentina, you can do all kind of adventure activities like hiking, mountaineering, fishing, biking etc or just relax at a lake or on a beach. US dollars are widely accepted in the country and travelers can use US dollars without changing the currency. This is a giant country and it is advisable to rent a car in a vast country like Argentina to make most out of your travel. Guide Map to rental locations in Argentina. For more use booking form above. 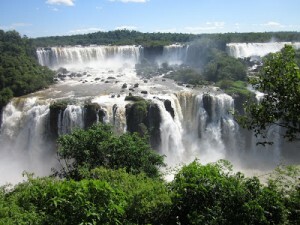 Iguazu Falls is recognized as one of the most impressive natural wonders on the earth. It is unclear how nature has managed to gather over 200 different waterfalls at one place. 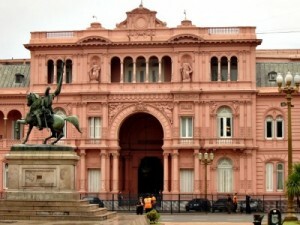 Casa Rosada, located in the center of Buenos Aires, is the official residence of the president of Argentina and one of the most photographed buildings in the city. 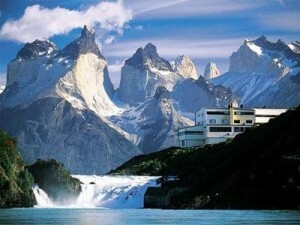 A visit to Torres del Paine National Park is must for a nature lover looking for a relaxing day. It allows you to admire the beautiful landscapes and enjoy the true subtropical America. 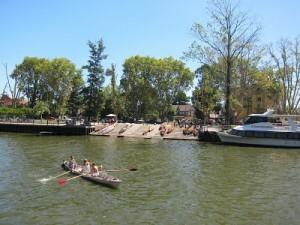 Tigre Island is a picturesque island, one of the most popular destinations in the country, gives you the opportunity discover the lifestyle of an islander and enjoy the Argentine cuisine. You must be at least 21 years old to drive a rental car in Argentina. You must have valid driving license, passport and documents related to car rental with you. Driving in Argentina is on the right side and overtaking is on the left. Seat belt is compulsory for the driver and passenger. Numerous gas stations inside the cities but rare to find outside. Gastronomy is one of the cornerstones of the Argentine culture and main element in the cuisine is meat, especially beef. The most popular cuisine in the country is empanadas, fried pies with fillings of minced meat, ham, potatoes and cheese. Argentina is also famous for fish and seafood. Oyster, squid, shrimp, crab and smoked eel are very popular here.